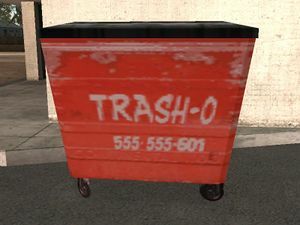 Trash-O is a rubbish/skip company in San Andreas. Their phone number appears on their dumpsters and is 555-555-601. Their dumpsters are seen throughout the state, most of them in country areas.